Anyway, you can check out these three expansion decks now. Seasons are 50-card packs that expand upon the current Age (in this case, Age of Revelations). 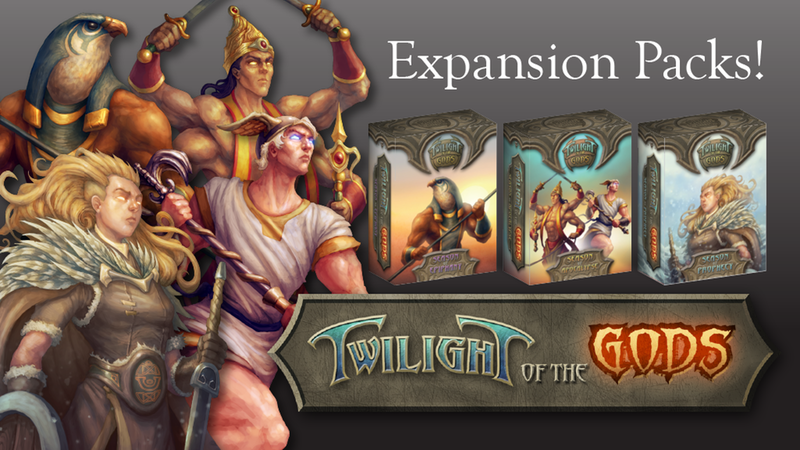 Each pack includes at least one new Deity card plus new cards for each faction (and a few original base game cards) with enough copies to reach your full deck-building potential. The campaign's closing in on funding with still 14 days left to go.